The Safco Wave Desktop Whiteboard and Magnetic Document Stand is a practical addition to any personal or office work setup great for communal use in gathering or meeting areas, or for personal use at impromptu meetings. 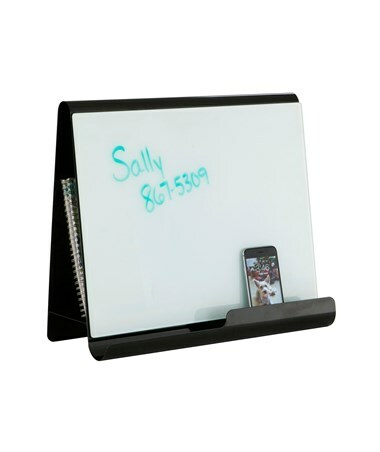 The board surface is glass that can be written on with dry erase markers and is magnetic which can be used to mount notes and reminders. It also has a tray that can be used to hold accessories, markers, erasers, and other small items. The space between the whiteboard can be used as storage for folders, notepads, and other documents. 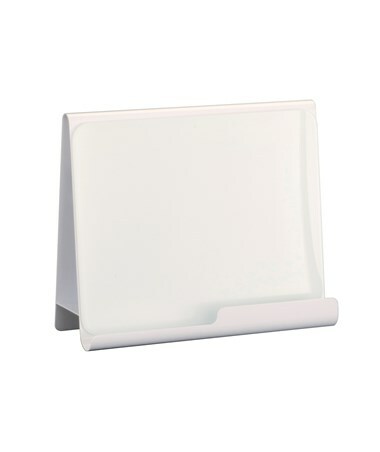 This desktop document stand is made of steel with a powder coat finish and a glass surface. 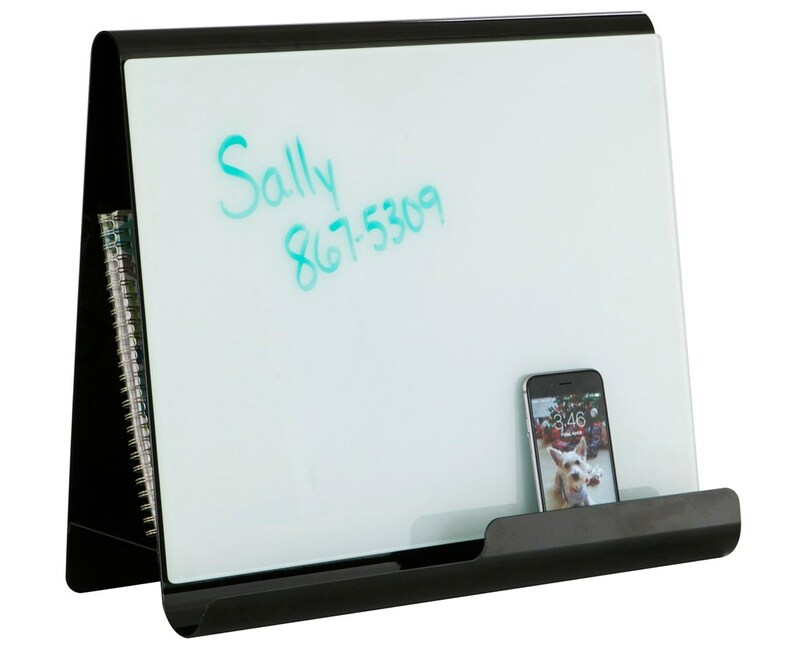 The Safco Wave Desktop Whiteboard and Magnetic Document Stand is available in two different colors. Please select your preference from the choices above.